While a great deal of our products traditionally focus on the home cook, we’ve welcomed a growing number of professional chefs, recently, who utilize molecular gastronomy. We believe both sides can reap benefits from the science behind the chemical transformations of food, and many use their discoveries to change the way we eat – focusing on anything from taste to texture to presentation. Because many of the tools and tricks employed by these molecular magicians are hyper-specialized (not to mention wildly over-budget for the standard home chef), we wanted to start on the bottom rung of the ladder. And this week we’ll talk about some of the more approachable methods, and how even the novice chef can get their kitchen science on! At the heart of this discipline is a pair of points: the tools and technique used to execute the dishes, and the different textures that those can produce. This week, we’ll just talk about some basic basic tools and how they can help tweak your conventional wisdom about the composition and flavor of the foods you make and eat. We’ve also added a full molecular gastronomy page to our website, which details the many ingredients available and the applications they work best with, from foams to gels to spheres to cocktails. As you’ll see, it doesn’t take a mad scientist! All of this serves as a primer for Molecular March here at Fante’s, where we’ll be featuring different portions of the molecular discipline for our in-store demos every Saturday! This week, we’re lucky enough to have a demonstration from a team headed by Marietta DeAngelo, one of the founders of Culinary Imports – you won’t want to miss all the tricks they have up their sleeves. “The traditional method involves the dripping of a solution of Algizoon and water into a solution of Calazoon and water. When sodium alginate comes in contact with calcium, a gel forms. The reaction is instant, so when a drop of Algizoon solution is dropped into the Calazoon bath, the drop gels and a small pearl is formed. The traditional method gels from the outside in, so the reaction continues even when the pearl is removed from the solution. So even though the result is something incredibly unique in the culinary world, the process is about as simple as can be. Make one mix and combine it with another – anyone can do it! 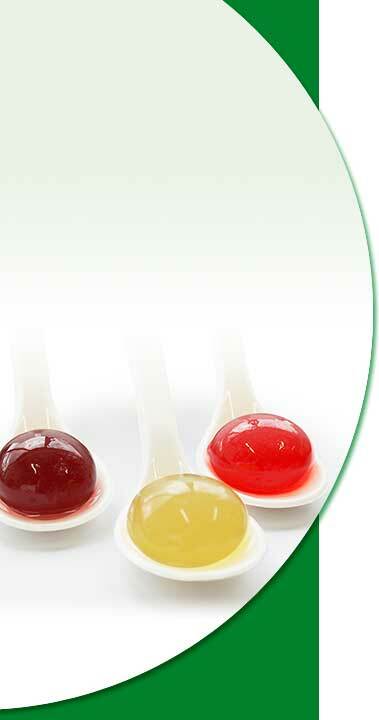 Gadgets for molecular gastronomy have as much variety as regular kitchen gadgets. There are some that are fairly specialized (anti-griddle, anyone?). However, the above-mentioned spherification utilizes tools like the syringe, which is found in many home kitchens – although you’ll need texturizers Algizoon or Calizoon too! You can even do some gels and orbs with just a simple spoon (or the above-mentioned syringe, depending on the size you’re looking for). Plenty of common kitchen tools can also be classified under this method, too. Ever make homemade whipped cream through a cream whipper? Emulsify? Blend? These all require a level of manipulation, albeit a bit more traditional than, say, fois gras cotton candy. Silicone molds (like the one pictured above) are very useful because of their ability to move quickly between hot and cold temperatures – and their flexibility in removing items from their molds! Perhaps the best tool is the cook’s imagination, and a willingness to explore creative possibilities beyond what is the norm in any given dish. Like this recipe for a twist on a classic, simple treat: a nice, crusty bread with olive oil and ham (in this case, Jamon Iberico, a salty, velvety-textured ham made from pigs who dine on black walnuts for much of their existence). What’s the molecular trick? Making the olive oil into a creamy jelly, turning the traditional idea of olive oil viscosity on its head. Sous Vide is the method of cooking food (usually a protein) in a hyper-controlled water bath, sealed in an airtight plastic bag. After steadily gaining in popularity in recent years, mostly due to exposure on popular professional cooking shows like Top Chef, sous vide is now starting to make inroads with home cooks. Even though home units like our Sous Vide Supreme are a far cry from the original commercial units that feature expensive immersion circulators (think a mini, well-controlled hot tub for your chicken breast), the controlled temperature and length of cooking allows you to get a juicy, perfectly cooked meal every single time. You might be wondering why you can’t just make your own sous vide, creating a water bath yourself and monitoring the temperature as you go. In short, you can – we’ve actually seen jimmy-rigged sous vides made from old coolers. 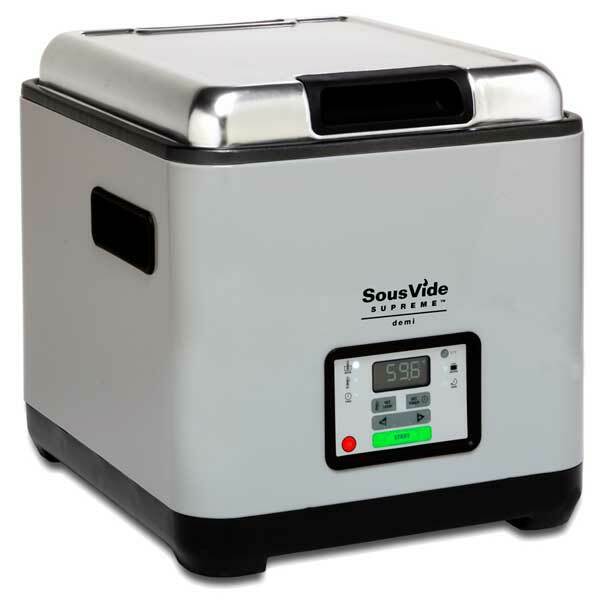 But sous vide machines remove the guesswork and the time investment required to constantly monitor the temperature of the water (essential both for food safety and the quality of the resulting meal), as well as the progress of the food. Homemade sous vide machines come with many variables; by contrast, once you plug in the temperature on a specially designed unit like our Sous Vide Supreme, you’re pretty much good to go until the timer goes off. Finally, scales are at the heart of a variety of kitchen functions, not just the science of molecular gastronomy. Baking requires absolute accuracy for a host of recipes; a touch here or a dash there is the difference between sweet success and a crumbly disaster. While such pinpoint accuracy is not usually needed in food preparation, it is often essential to create the powders and spheres common in molecular gastronomy. Small increment scales deserve a good look here, like the Salter Diet Scale (right), which measures to 8 oz in 0.005 oz increments, 250 g in 0.1 g increments. Ready to get started at home? Spherification is arguably one of the easier ways to dip your toe into the molecular pool and impress your friends at the same time. We found a great recipe that featured a seared scallop, topped with a carrot and ginger “caviar,” from Olives for Dinner. By twisting the form of a vegetable into a unique shape and texture, you’ll be able to impress your diners with an elegant and interesting treat. In March, we’ll be featuring a host of in-store demos focusing on the implementation of molecular gastronomy techniques and tricks in your home kitchen. Some of them require specialized tools, but many just need one or two additional ingredients and a vivid imagination. We’ll be featuring all kinds of textures – powders, foams, gels, and more – along with the Sous Vide. Make sure to stop by the store this Saturday as the team from Culinary Imports demonstrates how to make different powders, spheres and gels – it ought to be a real treat!